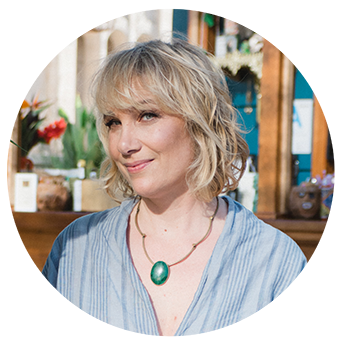 Elizabeth Bachner is a midwife, educator, speaker, and the owner/director of Gracefull Clinic in Los Angeles, California. It wasn't that I did not want to become a midwife, it was that I grew up not even knowing that it was a choice. I grew up in a world where you got pregnant, the doctor told you what to do, you went to the hospital to get drugs, you had a baby, cleaned the baby, dressed the baby and then lived happily ever after. When I started to get repetitive dreams where the babies were falling into my open hands I was told that I had received "The Calling" and it was my destiny to become a midwife. I scoffed at that idea, because I thought, "Who are these people who birth outside in the dirt under trees." You see, I believed the propaganda I was told from those who had never taken the time to understand how the female body works. My journey to becoming a Licensed Midwife us a tale of growth: from angry to kindness; from ignorant to informed; from victimized to empowered. Every family that I held space for as a doula, student, monatrice and midwife taught me something about myself. Being a Birth Junkie is not about what things "look like" on the outside but rather it is a love of the birthing journey which is a microcosm for the journey of life. Contained in both are the stages of labor, the transitions, the challenges and how they are navigated. It is about being in the dark and learning how to ask for support. It is about questioning those around us and finding out what safety feels like for oneself. It is the knowing that we are lovingly held in every lesson to be learned. When I committed myself to the path of becoming a midwife one of the first things I learned was birthing babies is what it is all about... and birthing babies is just the tip of the iceberg. Join me on the journey where we will laugh, and cry and explore being human through the stories of pregnancy, childbirth and parenting. Welcome to Big Birth Junkie.